NSW Lot Owners are concerned about overcrowding and whether there is a legal number of occupants in NSW apartment buildings. Leanne Habib, Premium Strata provides the following response. Question: How many occupants can an NSW apartment have eg. could a unit with 2 bedrooms have any number of occupants or is there a legal limit? Question: If an apartment is tenanted, how many occupants are allowed in a 2 bedroom unit? I suspect overcrowding in the apartment next door to ours. Answer: You would need a by-law which stipulates occupancy limits. Subject to anything contained in the development approval for the building, you would need a by-law which stipulates occupancy limits and that by-law cannot limit a bedroom to accommodate less than 2 x adults per bedroom. None of this applies if the occupants are related to one another. The regulation specifies who is to be considered a relation for these purposes. This post appears in Strata News #230. NSW: Smoking in Your Strata Building! Can They or Can’t They? VIC: Q&A – Is There A Maximum Number of Tenants Allowed in Apartments? The City of Sydney has an Unauthorised Accommodation Investigation Team which was established in March 2015. The team works with NSW Police, Fire and Rescue NSW, NSW Fair Trading, the Australian Taxation Office and other relevant agencies to overcome overcrowding and accommodation that is unsafe for occupants and surrounding neighbours. If you have concerns about overcrowding, reports can be made anonymously to this team. For more information, visit the Unauthorised accommodation page on the City of Sydney website. 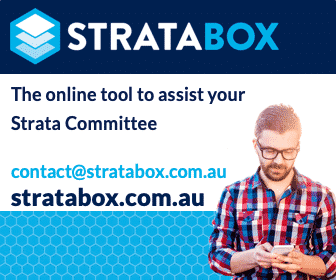 Visit Strata Noise & Neighbours OR NSW Strata Legislation. The bylaw ‘cannot limit a bedroom to occupy less than 2 adult per bedroom’. What does this mean? I thought the issue was overcrowding. (1) A by-law may limit the number of adults who may reside in a lot by reference to the number of bedrooms of the residence. (2) The limit may not be fewer than 2 adults per bedroom. (b) in any other circumstances prescribed by the regulations for the purposes of this section. (4) To avoid doubt, the Tribunal may make an order under Division 5 about a by-law made under this section. (5) The regulations may provide for the circumstances when a person is a resident of a lot for the purposes of a by-law made under this section. (6) For the purposes of this section, a “bedroom” is a room approved for use as a bedroom under, or indicated as a bedroom in any plans the subject of, a planning approval and includes any other room prescribed by the regulations as a bedroom for the purposes of this section. For the purposes of section 137 (3) (b) of the Act, a by-law that limits the number of adults who may reside in a lot has no effect if all of the adults who reside in the lot are related to each other. The intention of these sections is to limit overcrowding in apartments by limiting the number of adults which may occupy a bedroom (unless they are related).